Yes, you read right. This is a cup like no other. 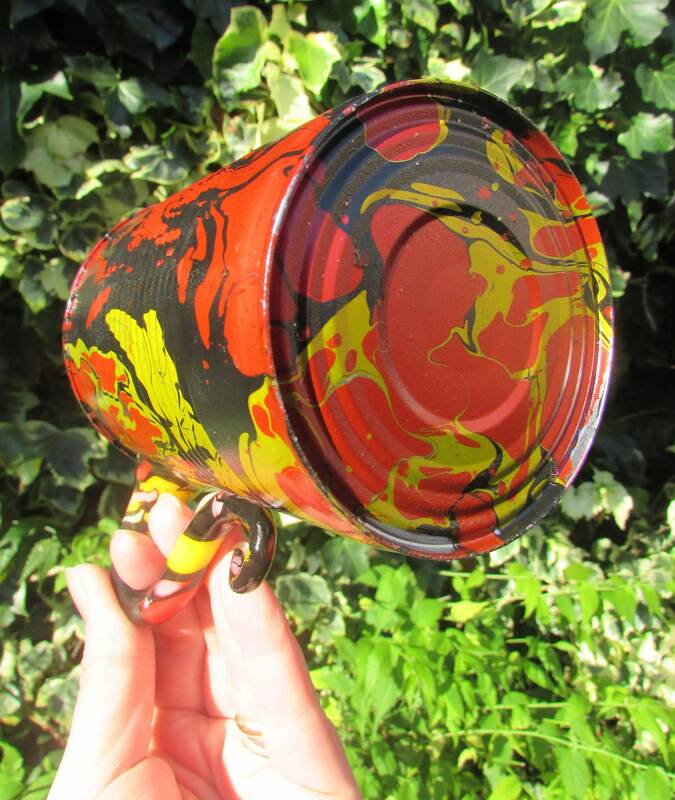 An actual upcycled food can glorified to the limits of what a can can be! 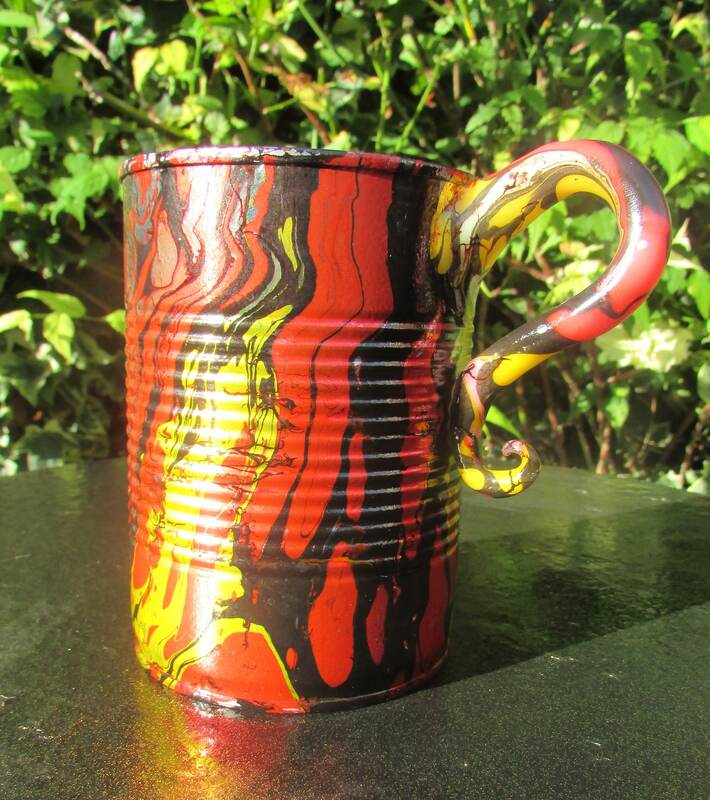 The handle is made from hand-sculpted plastic and the whole cup is finished in a firey red, black, and yellow marble glaze. 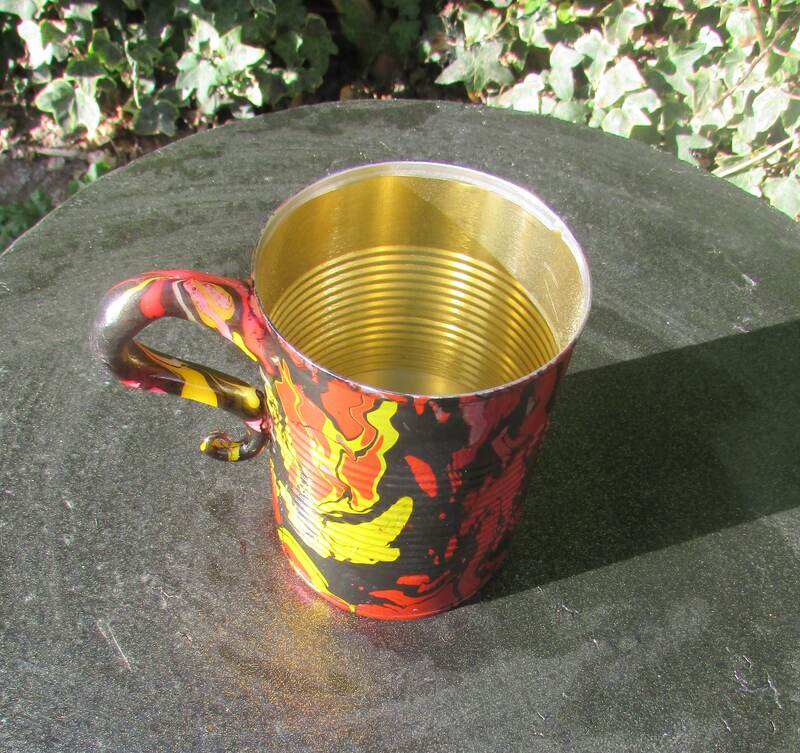 The handle material anchors through the can wall to be extra sturdy. 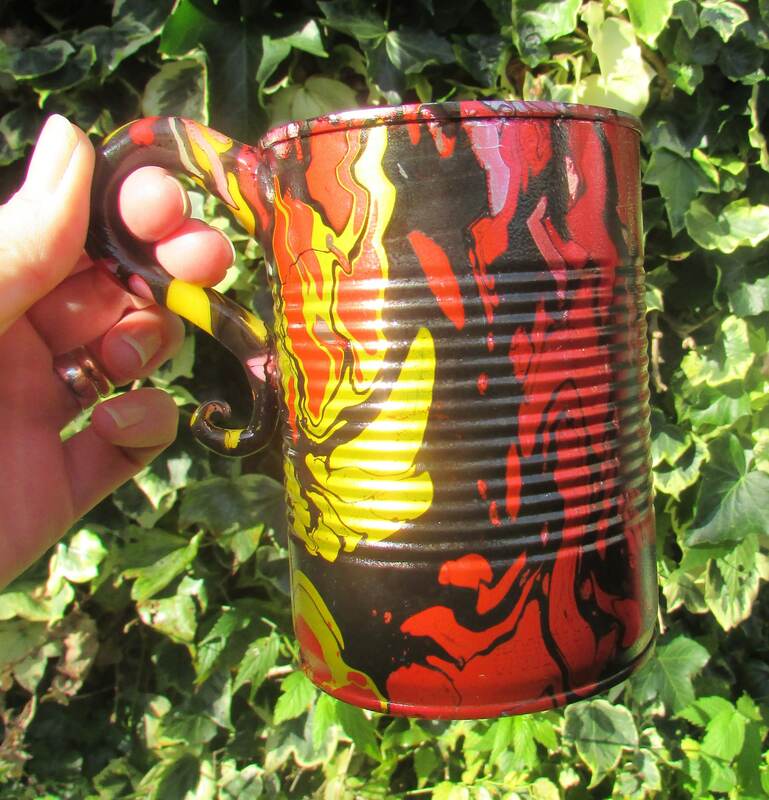 Suitable for cold drinks only (seriously, you don't want to put your lip to a metal cup if it's full of boiling tea anyway). 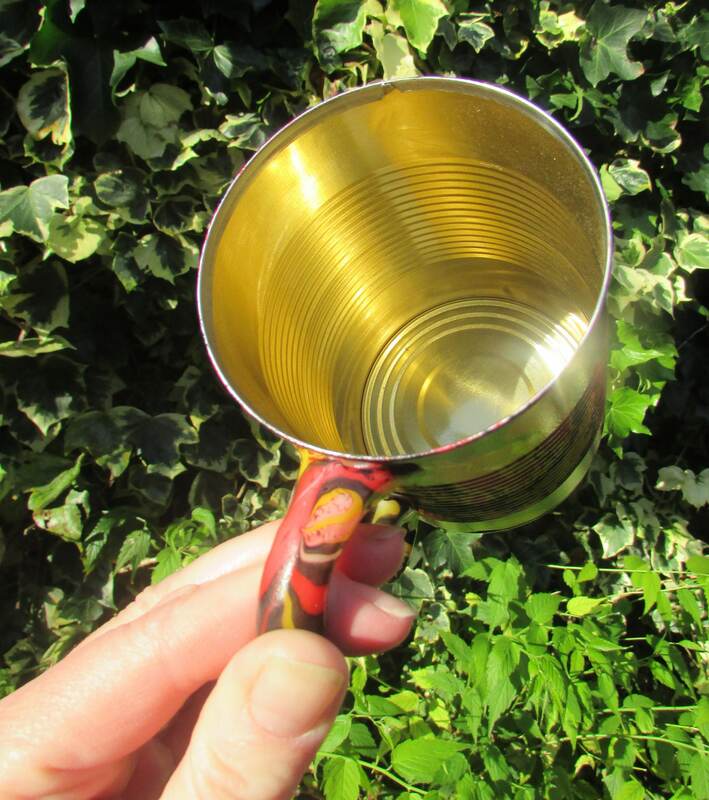 Holds a pint, or two cups.